I’ve been invited to a Dirty Santa party again this year. 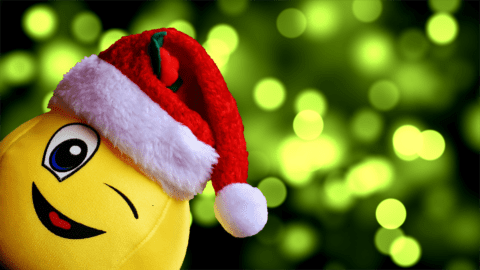 Not a Secret Santa party… but a Christmas party where they exchange Dirty Santa gifts! In a Secret Santa game, everyone draws names and then you buy a thoughtful gift specifically for one person while keeping your identity a secret. 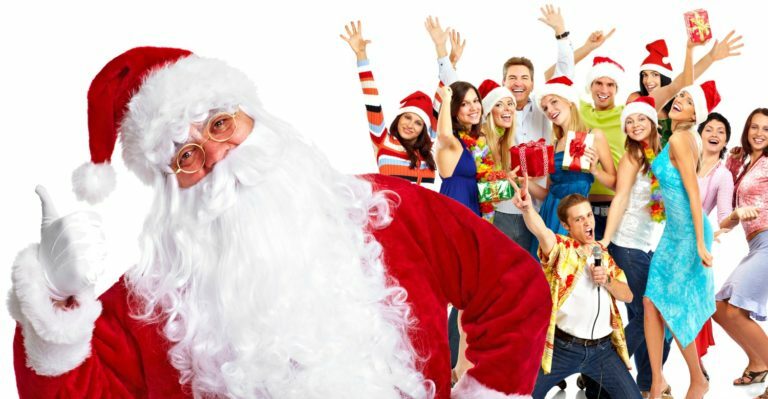 In a Dirty Santa game, you bring a funny, memorable, or cheap gift to the Christmas party and everyone at the party has a chance to “steal” it from whoever selected that gift and unwrapped it. In fact, the Dirty Santa game actually goes by a bunch of different names. No matter what you call it… if you’ve been invited to one, then you’re probably looking for some fun, cheap gift ideas. I’ve attended a number of gift exchange Christmas parties, and I’ve been keeping a list of the best Dirty Santa gifts — for years now. 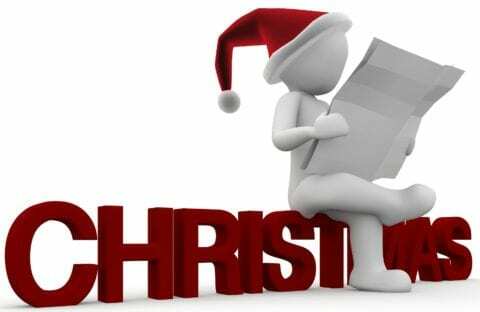 Today’s the day that I put them all into one big list here online — for myself and for others who are looking for Dirty Santa gift ideas. At a Dirty Santa Christmas party, the goal is to give & receive funny, strange, and unique gifts. 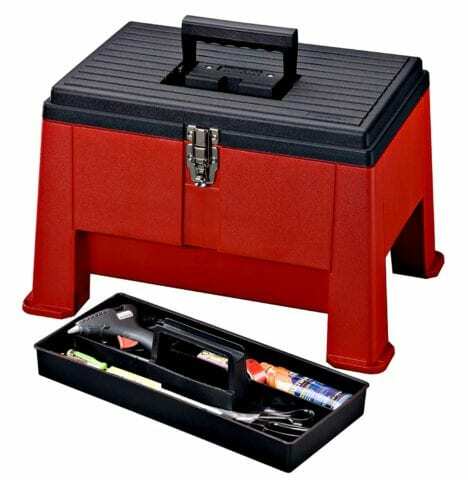 Practical gifts that anyone could use are a good choice too. But the more that a gift is “stolen” and passed around, the better! It’s completely up to you whether you decide to bring a gift that is “useful”… or one that is “completely tacky.” Either way, the aim is to have one of the most memorable gifts at the party. Amazon gift card – Almost everyone shops on Amazon these days, making this a very popular gift idea in the amount of your choosing. A $20 bill – Because every single person at the party can use cash! You don’t even have to package it creatively like this — just a $20 bill in an envelope will suffice. 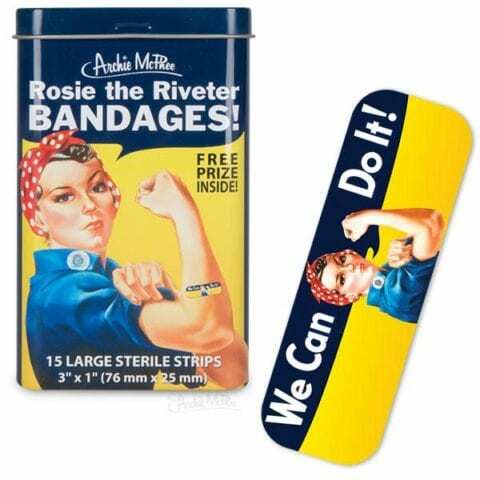 As Seen On TV products – You’ll find funny gift ideas as well as practical ones here. Remember Ronco‘s Mister Microphone and the Pocket Fisherman? 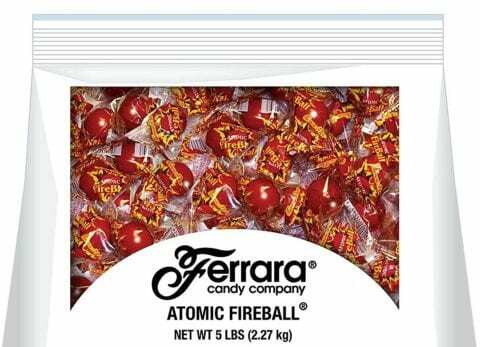 Atomic fireballs candy – They’re too hot for many to handle. My motorcycle friends and I usually travel with handfuls of these in our pockets. Dream Journal – A guided place to record your dreams and reflect on them …because it’s cheaper, and less nosy, than a shrink! Eyeglass lens cleaning kit – You can never have too many of these! Even if the person who receives this gift doesn’t wear eyeglasses, chances are they probably wear sunglasses. Kitchen safe – For foods that are temporarily off-limits when you’re on a diet. Tip: If you really want to create excitement for this gift at the party, put fresh baked cookies inside… or some other tasty treat! 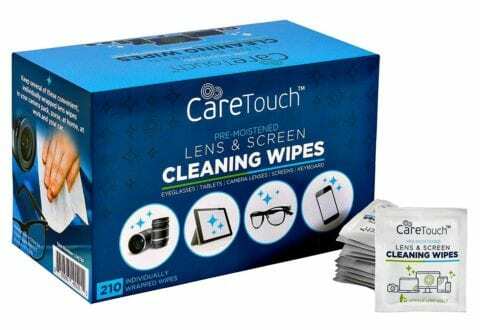 Lens cleaning wipes – For cleaning eyeglasses, sunglasses, phones, tablets, TVs, and more. To Do Lists & Sticky Pads – Snarky notepads with an attitude! Many of these to-do lists are actually sticky note pads, so you can take your list with you wherever you go. Walmart and/or Target gift cards – These are the 2 most popular stores that everyone shops at. Wooden trinket box – “Live to ride, Ride to live” is perfect for motorcyclists. Or choose a theme that is better for your particular group. WTF Is My Password? – An Internet password log book for those of us who are losing our minds, forgetful, or always misplacing passwords. Chia Pet – In the shape of whatever is trendy this year! Dirty Word Search Book for adults – A fun gag gift. 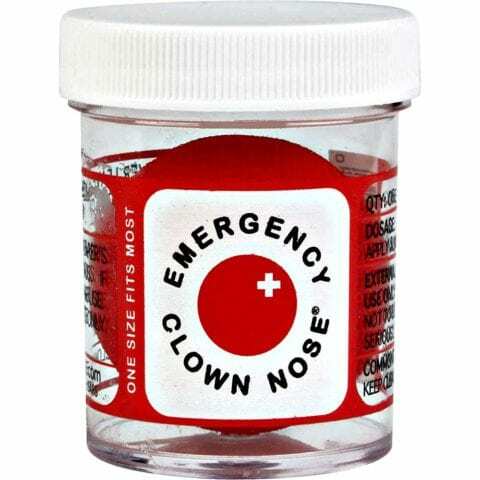 Emergency clown nose – Because you never know when you’ll need to be the life of the party! Hand sanitizer gag gift – Great for travelers… who have a sense of humor. Poo Pourri toilet spray – This is the bathroom air freshener that uses all-natural essential oils instead of chemicals. It always gets a good laugh at the parties I’ve been to. Talking toilet paper spindle – The best part is you can record your own message. And if you don’t believe me that this would be a great Dirty Santa gift, just check out the comments! The Clapper on/off switch — “Clap on. Clap off.” We actually have one of these and we use it all the time… because sometimes old school, low-tech gadgets do the job just fine! 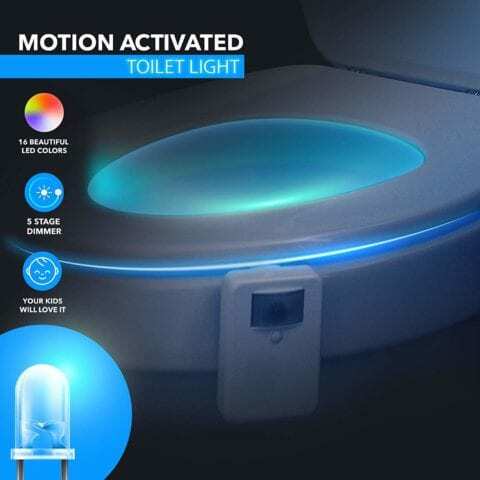 Toilet bowl night light – With motion sensor, so it’s not “on” all the time. This is perfect for someone who entertains a lot… or who gets up in the middle of the night to pee a lot! 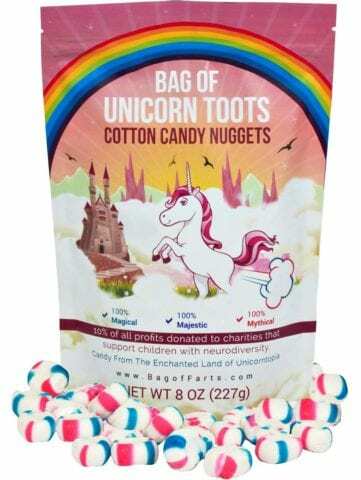 Unicorn farts – These tiny bites of cotton candy always get a good laugh at a party. Wooden signs – I have so many of these in my home (and so do many of my friends). You can never have too many fun rustic signs with thought-provoking — or sarcastic — sayings! You’re Only Old Once – A book for “old” people by Dr. Seuss. 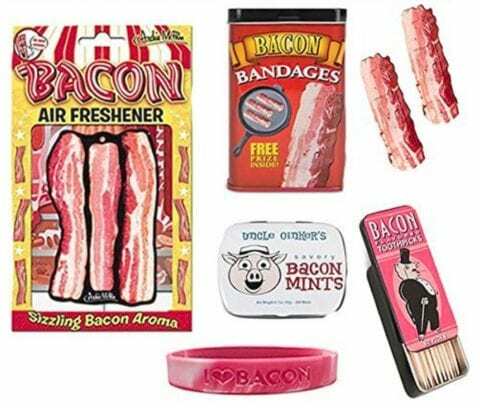 Bacon Gift Set – Bacon air freshener, bacon-flavored toothpicks, bacon-shaped bandages, and bacon mints. Cheese puffs – A large container of cheese balls is always a hit at parties! I can’t tell you how many times a big jar of these has shown up at parties (and even at small venue music events here in Nashville — as a doorprize). Dude Wipes – Flushable unscented disposable wet wipes for men… “for the face, hands, pits, and dude regions.” I originally saw these when they appeared on Shark Tank. Now they’re hugely popular and would make great Dirty Santa gifts! Get Sh*t Done mug – Who needs a checklist when you’ve got this mug? A fun gift for the diehard list-maker… or for someone who should be making lists. Jack Daniels alcohol spill mat – For the kitchen or the man cave. We have one of these on the counter in our kitchen at all times. I like it because it really does catch all the spills when pouring drinks. Lottery tickets – It’s fun to see if there’s a winner in the bunch right away! This one provides an immediate feel-good. I’ve given this gift several times at parties. 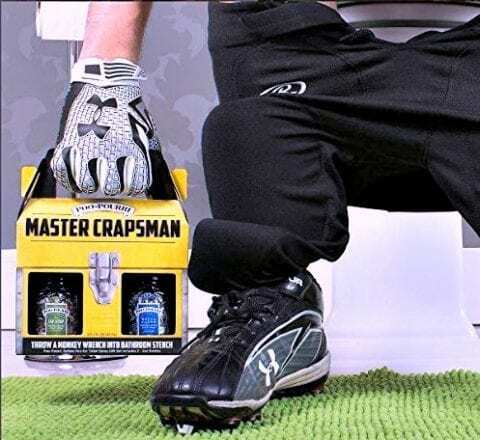 Master Crapsman toilet spray for men – From the popular Poo Pourri company, this one is designed and packaged just for the guys! Moonshine – Local liquor stores will sell local flavors of moonshine in your area. Video camera polarized sunglasses – These are a little more expensive, but worth it. Glasses with video cameras are becoming more and more popular. Candleberry candle – Candleberry is the only brand of candles I buy anymore. The Hot Maple Toddy scent is my personal favorite. 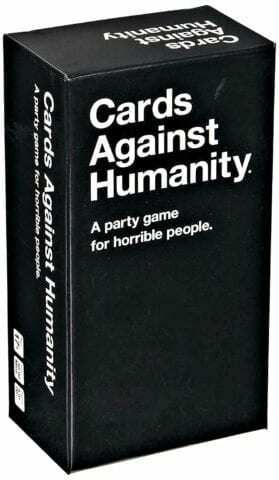 Cards Against Humanity game – For adults who like to party (and who have no boundaries), this game is a riot! Glow in the Dark nail polish – Fun for gals of all ages. Even if the recipient doesn’t use it, you can bet her daughter will. Go Girl female urination device – Sounded crazy to me… until I did a little research and found that some of my outdoorsy & adventurous gal pals (and celebrity movie actresses) are actually using products like this. When you spend a lot of time outdoors, sometimes it’s just quicker & easier to pee standing up! Facial masks set – A set of 16 different types of face masks to give your skin a nice glow all year long. Multiple items in a set make great Dirty Santa gifts! Harley-Davidson puzzle – Choose an appropriate theme for your party, if motorcycles and road trips don’t suit your group. Light-up LED pasties – Hmmm… which ladies are going to be fighting over this one at the party?! P-Mate disposable female urine funnels – For those times when nature calls and you’re wearing a lot of gear (like winter motorcycling gear, snowsuits, skiing gear). Or when you just need to take a quick pee in the woods — the easy way! Toolbox step stool – Keeps basic household tools handy at all times and serves as a step when something’s just a tad out of reach! 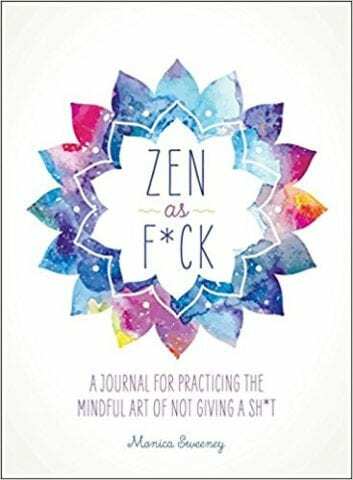 Zen as F*ck book – A journal for practicing the mindful art of not giving a sh*t… because snarky Dirty Santa gifts are the best! Only you know the type of people who will be at your party. Fortunately, even if some of the above items might not seem appropriate for your group, many of the items listed here are universal gift ideas that just about everyone would be happy to receive! If you’re not sure the type of people that will be at the Christmas party, then go the conservative route and choose something from the “useful and practical” list above. Here are 28 fun gift exchange ideas for your next holiday party, along with 7 rules of Secret Santa gift exchanges.